Po Lin Monastery has long recognized the significance of people, and hence the importance of education in the development of the country as well as the development of Buddhism. Venerable Fat Ho, the second Abbot of the monastery, established the Lantau Buddhist School as early as in 1936. Since the 1980s, when Buddhist education began to take its first major steps forward following China's new policy on religions, Po Lin Monastery has been actively engaged in sponsoring the building and development of Buddhist schools in Mainland with a view to educating and grooming new Buddhist talents. In addition to this, Buddhist Fat Ho Memorial College was established at Tai O in 1977, being the first grammar secondary school in Lantau Island, after which the monastery has continued its empathic effort in sponsoring the development of many secondary schools and kindergartens. Since 1995, the monastery has been in active support to China's "Project Hope", venturing far and remote to poverty-stricken hilly villages in the Mainland, sponsoring and funding the building and development of schools, answering China's call of "development through education"
Po Lin Monastery established Tsing Shan Buddhist School, as early as before the Second World War. The school was closed during the war and was reopened and redeveloped by Venerable Fat Ho, then the second Abbot, and Mr Chan Ching-tao, supervisor of the school after the war. Holding to heart the motto of "the greatest compassion goes beyond the veins of causation, and the greatest empathy transcends the divide between self and others", Abbot Fat Ho had during his time in the monastery (1930-1972) provided care for the weak and the sickly and advocated the building of a hospital. He was also deeply concerned that many of the local children were unable to go beyond primary schooling. It was his wish to build a secondary school. This wish remained unfulfilled, however, when he passed away in 1972. Venerable Chi Wai, the present Abbot, was committed to complete his master's unfulfilled dream. Whilst actively engaged in the planning for the building of the Tian Tan Big Buddha, he continued in his emphatic pursuit of the development of a secondary school in the Island District. A parcel of land was allocated for the purpose by the Government in 1977, and the school project proceed with the full support from all sectors of the community. 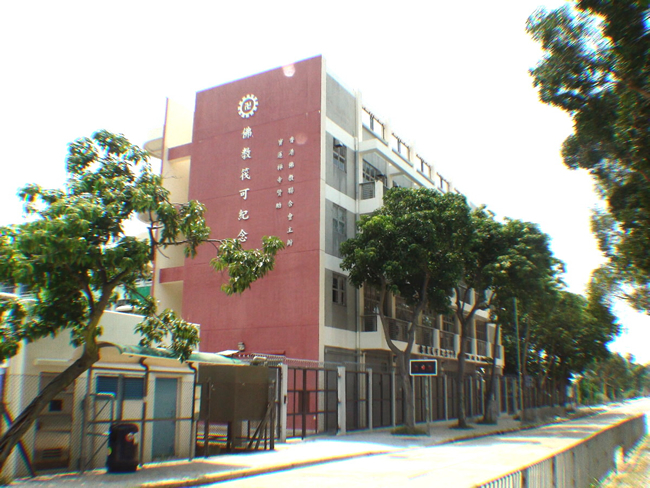 The school, supervised by the Hong Kong Buddhist Association and sponsored by Po Lin Monastery, was opened on 31 July, 1978. Children in Lantau Island could then enjoy secondary schooling and a more complete environment in their studies. The kindergarten is operated by the monastery on a non-profit making basis. Established in 1955 it provides a good learning environment for the small children. 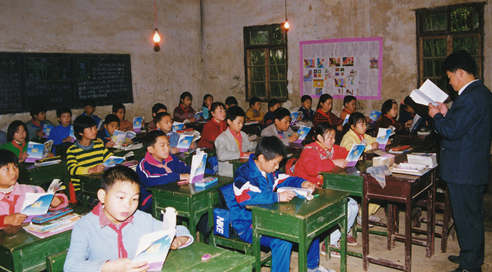 School books, school uniforms and school bus service are subsidized by the monastery. The needy may also apply for subsidy of school fees. 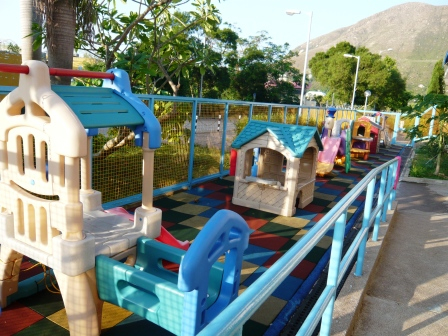 In September 2008, a toy library, funded by the monastery, was added to the kindergarten, providing the small children a fuller learning environment. In addition, teachers will arrange extra-curriculum activities for the children to enable them to experience life first hand, to obtain a balanced intellectual development in terms of virtue, intelligence, health, society and aesthetics, and to develop their interest in all-round learning and to form a healthy and positive life attitude. 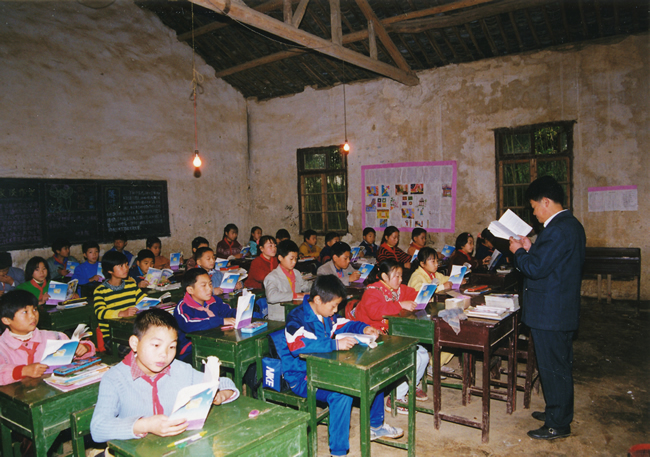 In October 1989, the China Youth Development Foundation established the Project Hope and appealed to local and overseas charity organizations and individuals to contribute towards and sponsor the rebuilding of derelict and perilous schools, and the building of Project Hope schools, in poverty-stricken areas to help improve the learning environment of the children and help the poor and underprivileged to continue their schooling. This would help ensure school-aged children to have the opportunity to receive proper education and would help establish basic education service in poverty-stricken or developing areas. Po Lin Monastery responded actively and offered empathic support to the appeal. The Sixth Patriarch Memorial School, the first school that the monastery sponsored under Project Hope, was established in Xinxing County of Guangdong in 1995. To date the monastery has contributed to building over 300 primary and secondary schools under the project. The contribution, totaling RMB￥65 million, was donated by followers of the monastery, in a joint good-faith effort for the benefit of the poor and the underprivileged in remote developing areas of China, in support of the state policy of "developing the country through education". The Po Lin Monastery Scholarship was established to groom and develop talents for society. A committee was set up in 1992 to select and provide financial assistance to suitable students in Hong Kong who wish to pursue university education. For example, a student completed a higher diploma certificate course in the City University of Hong Kong and proceeded to further his study in the United Kingdom. The Po Lin Monastery Scholarship also focuses on grooming Buddhist talents and since 1992 sponsored seven monks from the Mainland to pursue their postgraduate education in Buddhism in Sri Lanka, USA and Japan. Further to this, in 1996, four monks from the Research Institute of the Buddhism Culture of China of the Buddhist Association of China were sponsored to further their PhD study in universities in USA and in UK. In 1998, three monks recommended by the Buddhist Association of China were sponsored to pursue their master degree study in Buddhist literature and philosophy in Sri Lanka. 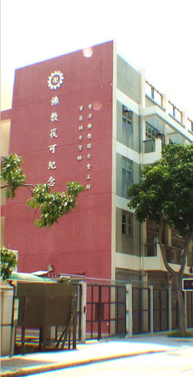 Since 2006, the Scholarship has also sponsored Fat Ho Memorial College in their three-year English development programme, in employing English teachers and organizing English language activities, and in renovating the multimedia computer and language room in the school.